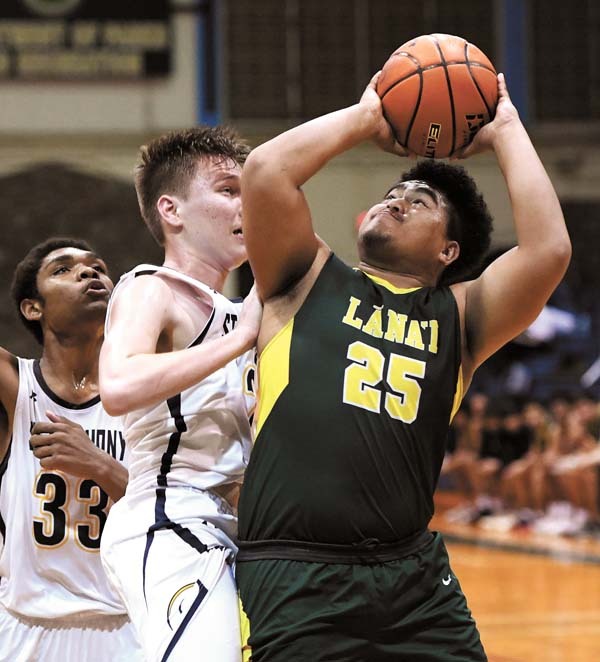 WAILUKU — The Lanai High School boys basketball team has not been to the state tournament since 2008, but the Pine Lads are making a push to get back there this season. 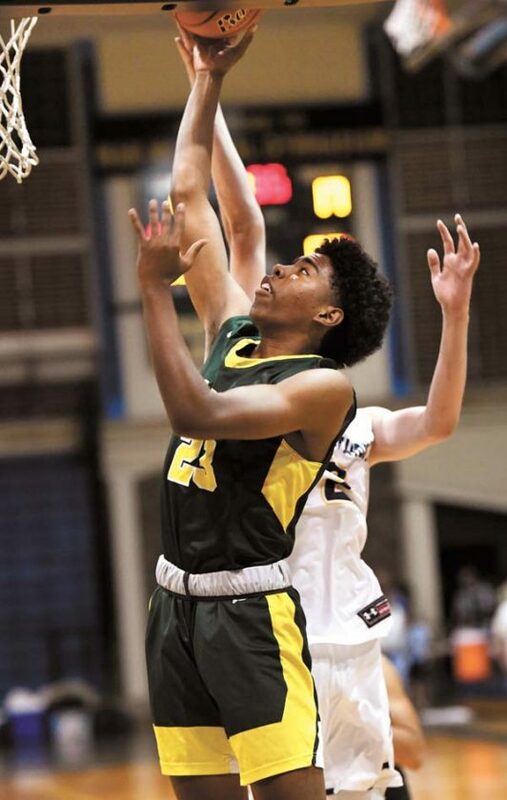 They rolled to a 55-28 win over St. Anthony at War Memorial Gym on Friday night to improve to 5-0 in Maui Interscholastic League Division II play. 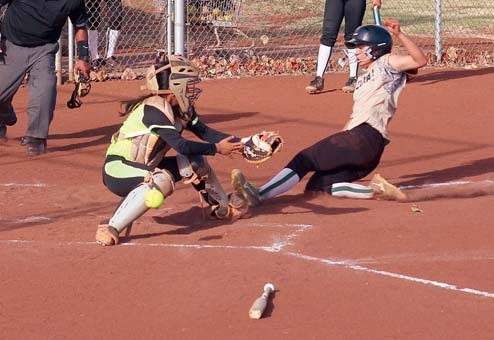 They are tied with nine-time defending champion Seabury Hall with two games between the two teams next week on Lanai. Calderon didn’t hesitate when asked if his team can get past Seabury for the lone MIL berth to the state tournament. A driving layup by Calderon made it 6-0 just two minutes into the game, and his free throw late in the first quarter gave the Pine Lads a 13-4 lead. Calderon’s pretty underhanded pass up the floor through the St. Anthony defense made it 23-12 at halftime. The Pine Lads had nine different scorers and they simply tired the Trojans out down the stretch — St. Anthony has six players, including just one senior. Lanai put the game away with a 22-7 advantage in the third quarter, when Calderon had six points. 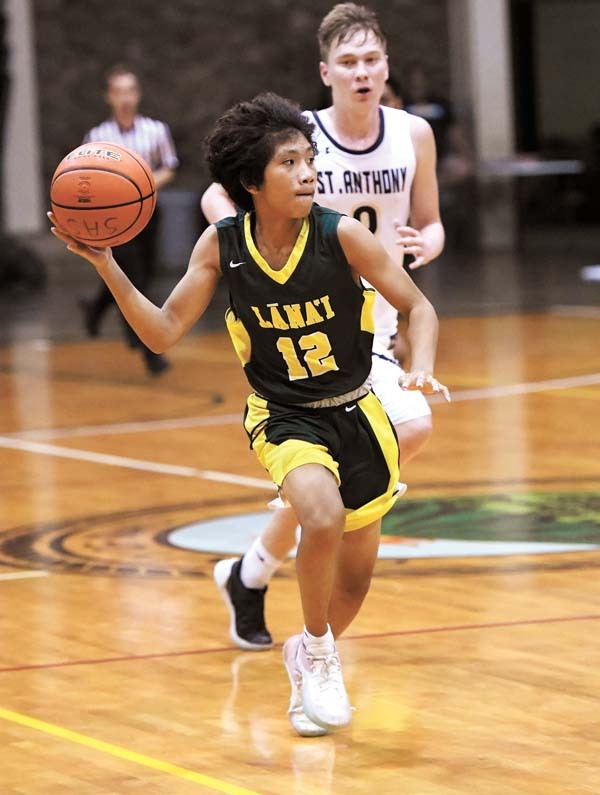 Lanai turned on the 30-point running clock when Devrene Kahananui-Alejado scored to make it 52-21, but Nate Rabara made a 3-pointer for the Trojans to turn off the running clock on the next trip down the floor. The Trojans (1-4) have only been working inside a gym for a little over a month. They began their season on the school’s on-campus outdoor court. 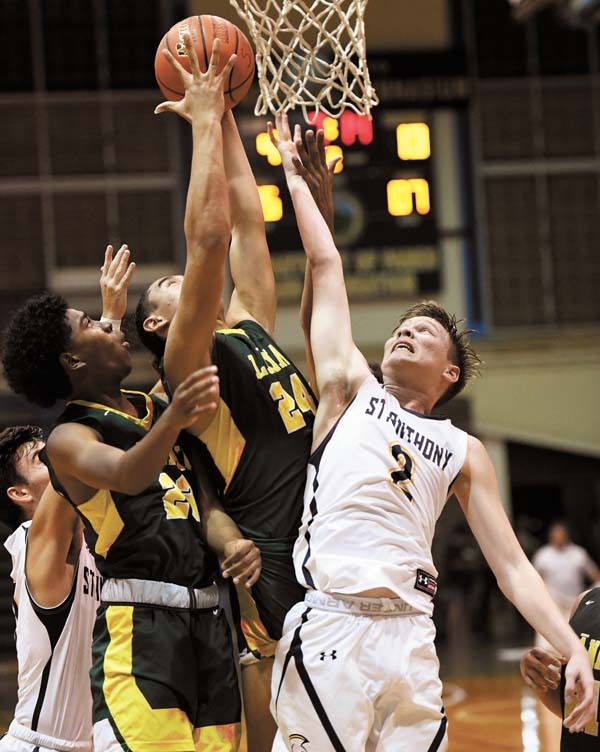 Kaimana Baker scored 10 points and Rabara had nine to lead St. Anthony. 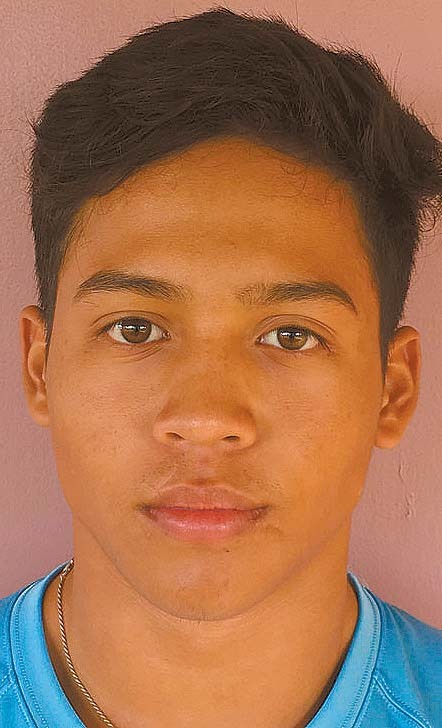 Joel Nisperos 0, Devin Vidad 5, Rayden Manuel 0, Jordan Belista 4, Naighel Calderon 11, Kane Tubera 8, Jesse Sigrah 2, Andre Adams 5, Devrene Kahananui-Alejado 8, Morgan Jonas 6, Jamahl Adams 6, Elijah Gima-Maltezo 0. Evan Essner 0, Kaimana Baker 10, Nate Rabara 9, Calvin Johnson 2, Jon Vergel De Dios 7, Christian Robson 0. 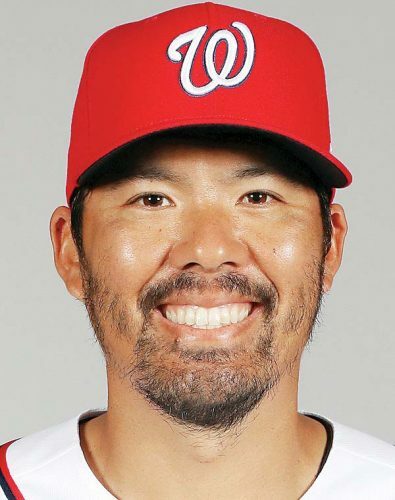 Chayton Keegan 10, Keoki Hoopai-Waikoloa 5, Nahinu Lind 8, Kaua Medeiros 0, Blade Hoopai 2, Shayden Hoopai-Waikoloa 5, Huaka Park 0, Elijah Keegan 6, Kalai Mizner 0, Owali Moeai 0, Xade Vasquez 0. 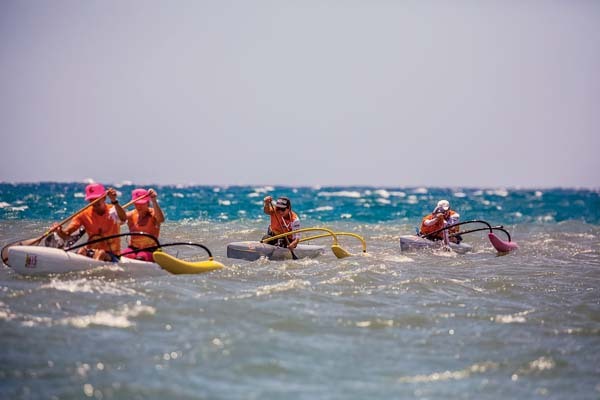 Patrick Doster 19, Will Pang 8, Connor Fernandez 10, Laa Akeo 9, Aidan Goldberg 1, Adrian Wertheim 4, Sean Conmy 3. 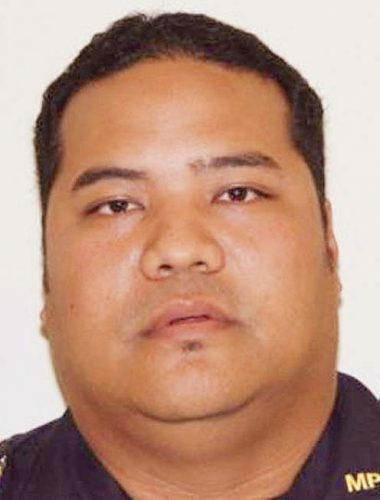 Stephen Agcaoili 11, Kanalu Kahale 5, Ayden Inouye 3, Kaiwi Albino 0, Marc Bumatay 0, Saven Kaahanui 0, Owen Svetin 0, Jewl Carriaga 0, Joshua Hanchett 0, Leonaka Burrows 11, Elijah Kadowaki 0, Kaya Alcon 0, Vaai Seumalo 9, Nickolas Rapanot 0. Noah Payne 18, Carl Molinaro 4, Ujaiah Cunningham 0, Joaquin Donez 7, Cooper Waite 7, Caden Granum 2, Brayden Hasegawa 0, Kama Konohia 22, Masyn Johnson 2, John Biegel 9. Haleakala Waldorf vs. Hana at War Memorial Gym, 10:30 a.m.